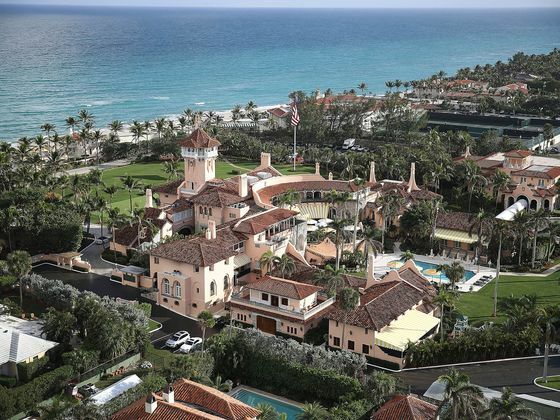 (Bloomberg) -- A Chinese woman detained at President Donald Trump’s Mar-a-Lago resort in Florida was indicted by a federal grand jury in Palm Beach County for unlawful entry and making false statements to a Secret Service agent. Yujing Zhang was caught at the resort with four mobile phones, a laptop computer, external hard drive and a thumb drive containing suspected malware. Trump was golfing nearby when Zhang was taken into custody. Nothing in the indictment refers to possible espionage, which is in line with remarks made by prosecutor Rolando Garcia at Zhang’s April 8 detention hearing in West Palm Beach. But Garcia told the judge that the U.S. continued to look into that possibility. The case has attracted scrutiny of security procedures at Mar-a-Lago, President Trump’s so-called winter White House. The president regularly visits the property and conducts official business there, but it also operates as a private business dependent on traffic from members and special events. Investigators continue to look into Zhang as part of a broader FBI-led investigation into whether Chinese operatives are targeting Trump and Mar-a-Lago to get information about the administration’s policies regarding China, according to a person familiar with the probe, who asked not to be identified because the inquiry is ongoing. The counterintelligence investigation, which began in December, has expanded since Zhang’s arrest, the person said. Forensic FBI investigators have been analyzing the malware inside the thumb drive and Zhang’s other electronic devices for any connection to China’s intelligence operations, the person said. Information from some of Zhang’s electronics devices was used to draw up the grand jury indictment, the person said. 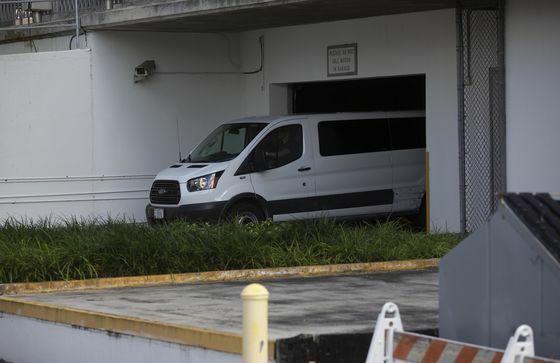 U.S. prosecutors in Miami opened the counterintelligence investigation after information led investigators to focus on Li Yang, a Florida businesswoman who goes by Cindy, one of the people said. Yang is the former owner of a South Florida massage parlor that was caught up in a prostitution scandal, in which Robert Kraft, owner of the New England Patriots, was charged with solicitation. Zhang’s lawyer, public defender Robert Adler, said at the April 8 hearing that she had a legitimate reason to be at the property, planning to attend an event that had apparently been scheduled but later canceled. Zhang “well knew no such event was scheduled at Mar-a-Lago and its grounds," prosecutors said in the indictment. Adler also denied that Zhang explicitly misrepresented herself. She was apparently allowed into the club in part because her name was the same as that of a club member. But Adler said any inference that she was related to the other Zhang could have arisen from a misunderstanding. Zhang is a native Mandarin speaker, and hers is a very common name in China, the lawyer said. The balance of Zhang’s detention hearing and her arraignment are scheduled for Monday in federal court in West Palm Beach. Separately, the White House announced April 8 that Secret Service director Randolph Alles would leave the administration as part of a shakeup at the Department of Homeland Security. At a hearing Friday, prosecutor Greg Kridos said the investigation of the massage parlor started as a probe of suspected human trafficking but there is no evidence to support that claim now. No one in the case will be charged with human trafficking, he said. Kridos made the comment at a hearing in which media organizations sought the release of video showing Kraft at the massage parlor. A judge didn’t immediately rule on that request. The case is U.S. v. Zhang, 19-cr-80056, U.S. District Court, Southern District of Florida (Palm Beach).